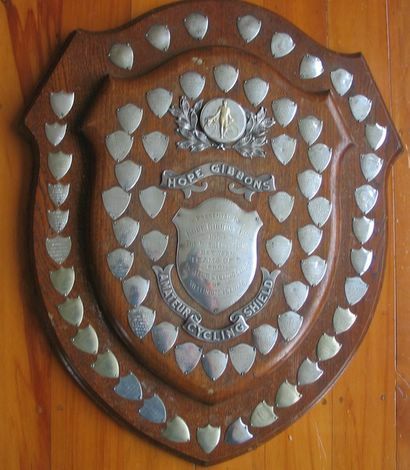 The Hope Gibbons Shield. Started in the early 1930's. We finally managed to get our names on it this year in a slightly controversial manner. We were beaten by one team, but they werent all paid up members of the Centre, so didn't qualify. A real bugger cos the one guy that wasnt a member got dropped almost immediatley and it was up to the other 3 to lap it out for the 38kms anyway! They did a 54.01 to our 55. 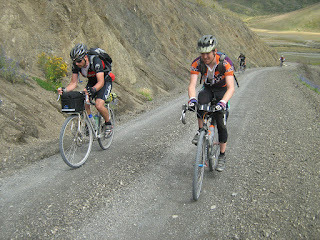 Like most teams, we dropped one rider as well. Other than international competition, this was my all time favourite NZ racing, down in Levin each year. World masters track champs report 1.